We’ve all had those moments where we enjoyed hopping, skipping and jumping around in the playground. But what if I tell you that you were actually trying to be fit and that those exercises have broadened to become a training regime? Yes that is indeed true. Plyometrics also known as jump training is a form where we perform a series of jumps and hops and the combination of them. You won’t be jumping around every day because your muscles get tired up from the contraction and relaxation sessions. This is indeed a very explosive compound training strategy where it is mainly performed in combination with other exercises. The major concern of this training is to train for maximum force production in a less amount of time by indulging in low reps and high intensity and efforts. The training is ideal for athletes and for those who want to built power, speed and strength. • It provides you with surplus amount of power and speed. You experience maximum muscle endurance due to stretch shortening cycle. • It helps in improving your upper and lower body strength through exercises like tuck jumps, squats, box jump and depth jumps for your lower body; clapping pushups, medicine ball chest press and overhead throws for your upper body. • As these exercises require a lot of energy; they utilize many muscle groups and lead to a number of burnt calories aiding in weight loss. It also helps in toning your leg muscles and improving their definitions. How does Plyometrics help in building your muscles? Our body’s muscular system is made up of fast twitch and slow twitch muscle fibers. The fast twitch muscles make up the most important form due to them being the largest and strongest fibers in the body. Hence they deserve the most training for heavy lifting, anaerobic efforts and explosive movements. The slow twitch fibers are responsible for the endurance of strenuous activities. They are not mainly concerned with absolute strength. 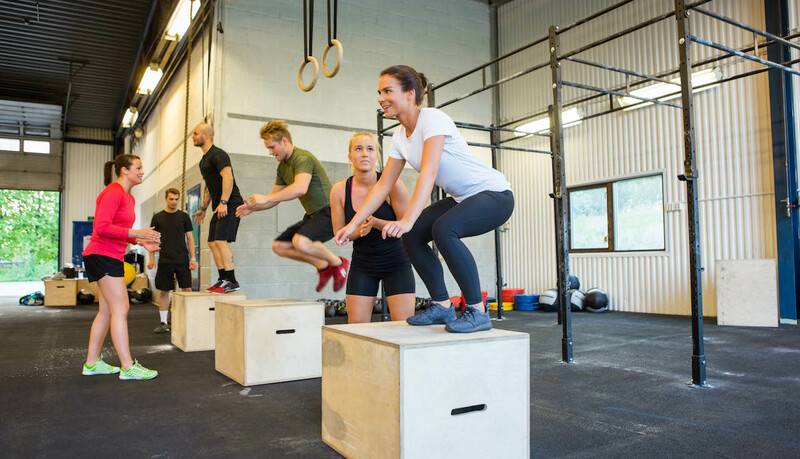 So Plyometric training is mainly concerned with improving the strength and endurance of the fast twitch muscles so that they can indulge in heavy lifts and strength gains. Getting the right regime for your body is utmost important in order for your hard work to be reflected easily and accurately. So whenever you try a new workout; know about it completely and then try it.